There are thousands of special interest groups that each wish the budget to be balanced... on somebody else's back. President Obama said he would seek a reform of the U.S. tax code, calling the current tax system is a "10,000-page monstrosity." But that promise has been made by others before. Whenever somebody proposes tax simplification, we run up against the fact that every "simplification" would gore somebody's ox. The more code-trimming you do, the more people will scream. In fact, I know a simple way the sheer bulk of the tax code — its complexity, in numbers of rules, words or exceptions — could be trimmed by perhaps 70% or more, without much political pain or obstructionism! Because the method is designed to be mostly politically neutral. It does not aim at some utopian fantasy (like the Flat Taxers rave about.) It gores only a few sacred cows. It would be cheap and easy to implement. And almost guaranteed to work! (Only accountants should hate it for the effects on their lucrative business.) Yet, to the best of my knowledge, this method has never been tried, or even proposed. Alas. How can I promise such a thing? First let's note something interesting. There is nothing on Earth like the US tax code. It is an extremely complex system that nobody understands well. But it is unique among all the complex things in the world, in that its complexity is perfectly replicated by the Mathematical Model of the system. Because the Mathematical Model is the system. Hence, one could put the entire US tax code into a spare computer somewhere, try a myriad inputs, outputs... and tweak every parameter to see how outputs change. There are agencies who already do this, daily, in response to congressional queries. Alterations of the model must be tested under a wide range of boundary conditions (sample taxpayers). But if you are thorough, the results of the model will be the results of the system. As I've said, this is done all the time. A member of Congress has some particular tax breaks she despises and asks the CBO for figures on the effect, should those breaks be eliminated. Alas, what inevitably happens is that, as soon as word gets out, her proposal soon faces a firestorm from constituents or powerful interests who will fight like hell to keep from losing millions. Hence, although American corn-ahol subsidies are propelling high food prices and hunger around the world, nothing is done to end the wasteful programs that costs more net energy than it delivers. There are thousands of other special interest groups that each wish the budget to be balanced... on somebody else's back. So how would my suggestion get past this? A key innovation would be to program in boundary conditions to the experiment. The paramount condition would be "no losers." Let the program find the simplest version of a refined tax code that leaves all 100 taxpayer clades unhurt. If one group loses a favorite tax dodge, the system would seek a rebalancing of others to compensate. No mere human being could accomplish this, but I have been assured by experts that a computer could do this in a snap. Here's the key point: If such an iterative search finds a new, much simpler tax structure that leaves none of the 100 groups more than 5% worse off than they currently are, then who is going to scream? ...a lot of the HEAT will be taken out of their complaints, if they see the bottom line is completely unchanged. And that is the secret. To remove enough heat so that people can calmly re-assess, negotiate, and accept pragmatic change that's good for all. Will "no-losers" really leave everybody unaffected? Nope. One hundred sample-type American taxpayers won't cover everybody, especially at the upper end. Some in the aristocracy have tax laws that were enacted specifically to benefit them. They will hit the roof. But if enough of the rich are included in "no-losers" they might tip the balance, canceling out the final obstructors, for the sake of a new simplicity and a new patriotism. But, by starting with "no-losers," you can use politically neutral optimization routines to find a much simpler system, trimming and slimming the machinery to use the fewest moving parts, in order to achieve the exact same output it is performing right now. Then, and only then, will it make sense to argue about steering the vehicle in new directions. Honestly, can you think of ANY other way that simplification might plausibly ever happen? If so, I'd love to hear it. 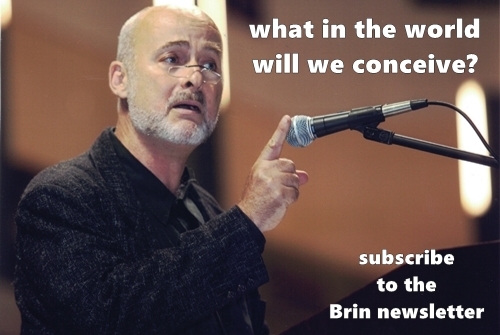 Copyright © 2011 by David Brin. All rights reserved. 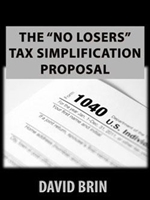 "The 'No-Losers' Tax Simplification Proposal" (published in full here) was written back when it was at least possible to imagine negotiated positive-sum politics. Let's be plain: That is not the case now. Politics is dead. We are in Civil War Part III. 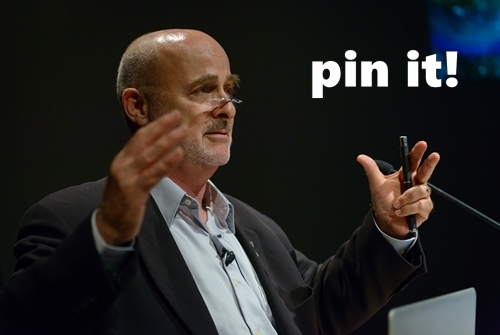 David Brin, "Cracks Are Appearing All Over"
David Brin, "More On the War Against Professionalism in Government"
David Brin, "We May Be Rescued by the Victims"
The Economist, "Under the Weather"